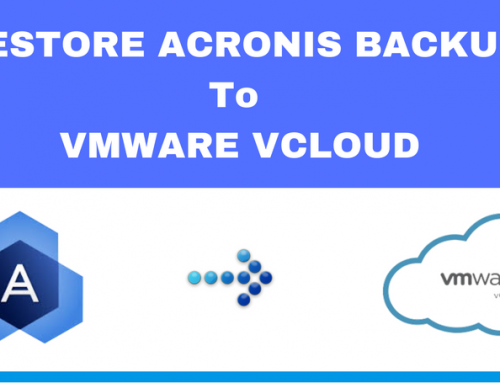 Server virtualisation has become a norm in many organisations whether small or big enterprise. 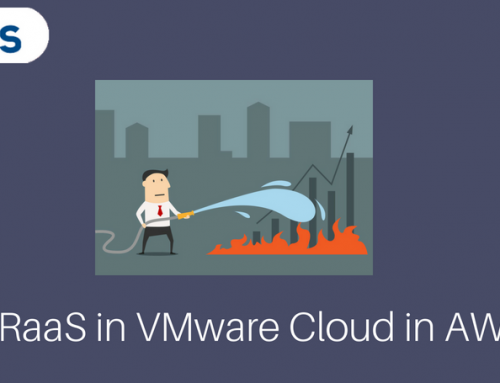 Virtual machines running in today’s infrastructure are revenue generating, tier 1 where most critical applications cannot afford to go down or degraded. 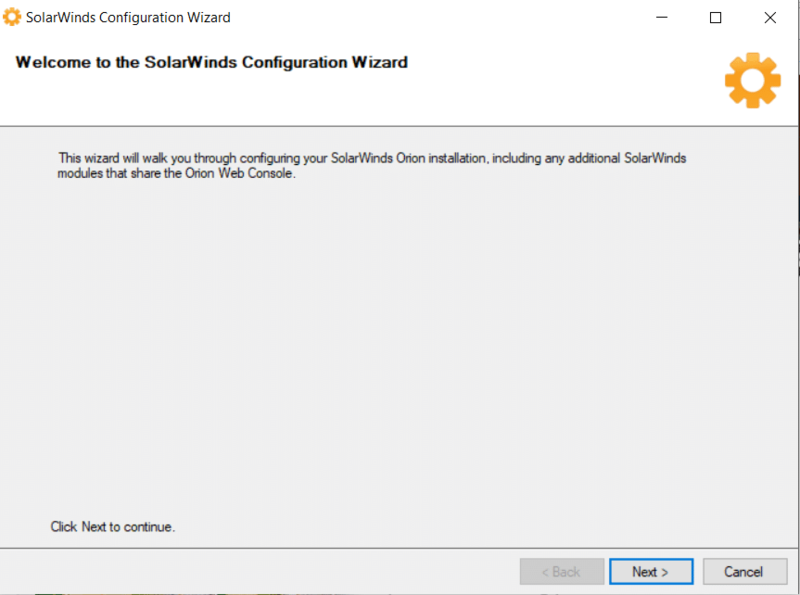 In this article, we will discuss how to install SolarWinds Virtualization Manager 8.2, configuration and how to perform VMware monitoring with SolarWinds. Be proactive and reduce downtime by an average of 59% with proactive alerts and recommendations. Save time by fixing issues faster by an average of 65% with active performance alerts. Save money by reclaiming an average of 23% of your virtual resources using Virtual Machine sprawl recommendations. 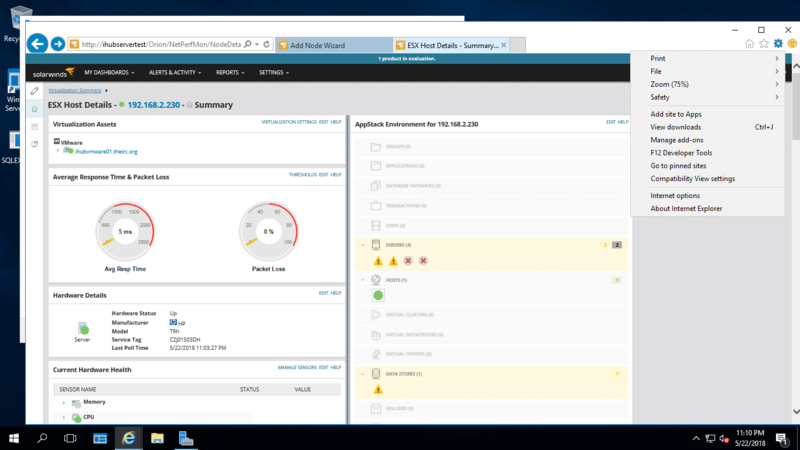 Centralized management with a single dashboard to optimise and fix vSphere and Hyper-V performance issues. Locate the downloaded file from your download location. 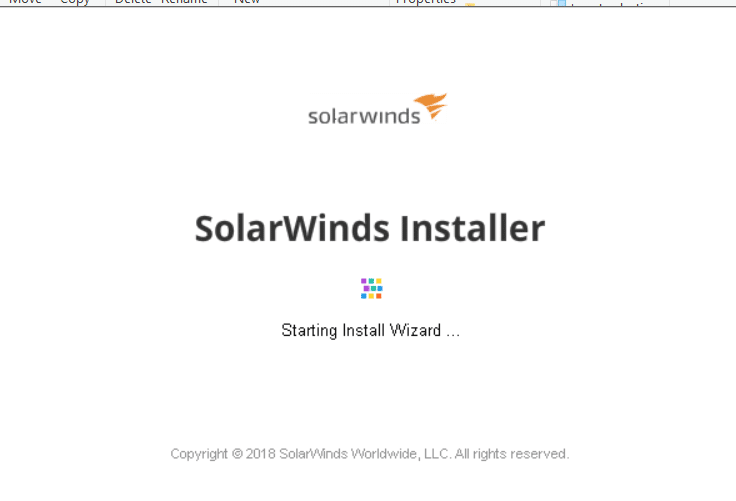 Launch SolarWinds Offline Installer by double-clicking on the setup. Select the type of setup; In this demonstration, we shall use Lightweight Installation. 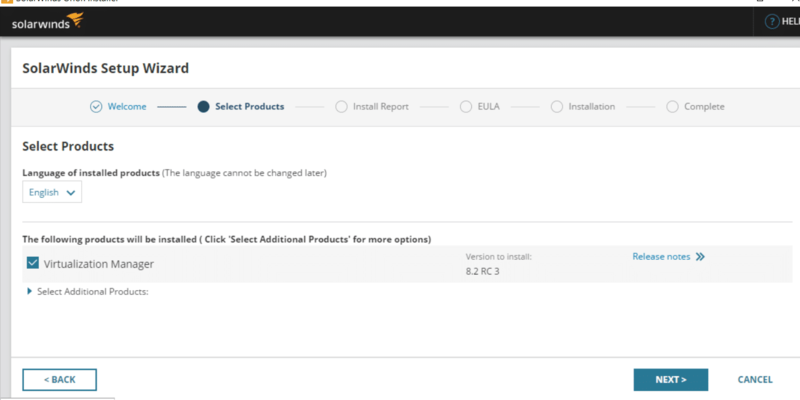 Select the product to Install which is Virtualization Manager and click Next. 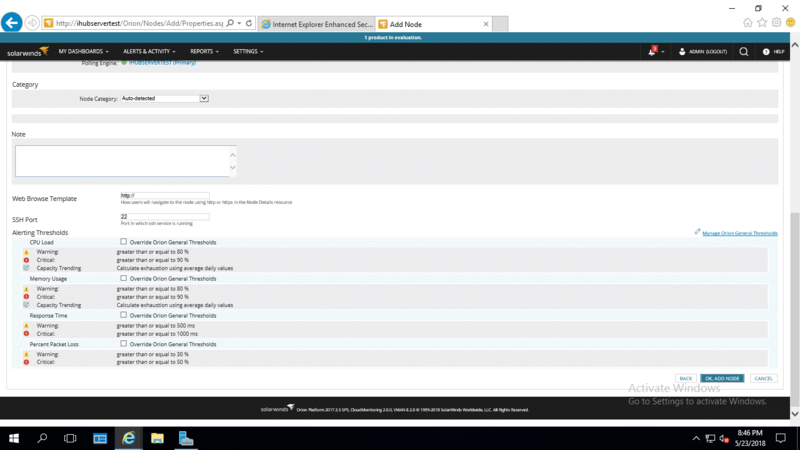 SolarWinds installs SQL Express 2016 and SolarWinds Virtualization Manager on the computer. 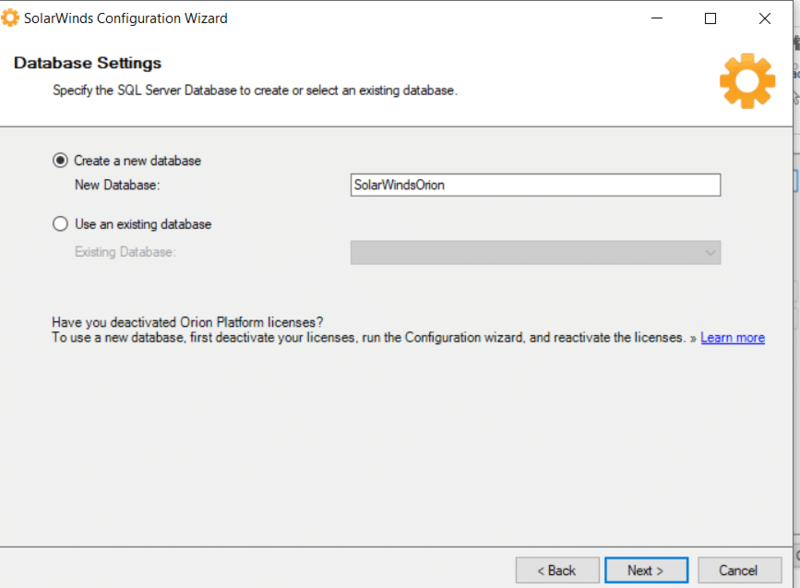 In the next steps, we shall cover SQL Database configuration where SolarWinds Virtualization Manager stores the data and Website configuration as it is a web-based application. 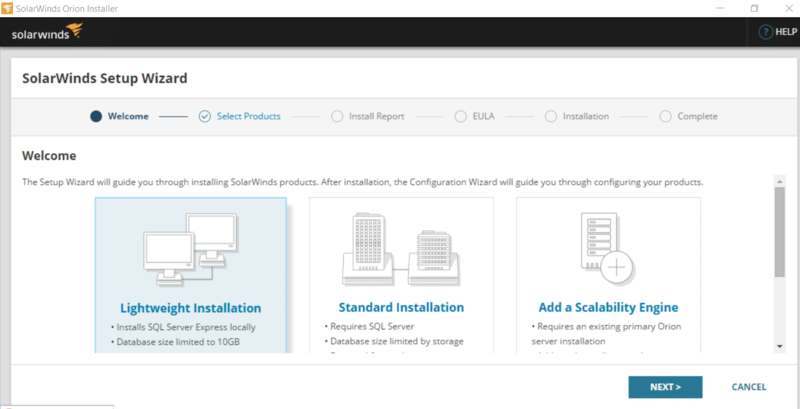 Select the Database server (Where SolarWinds Virtualization Manager is installed). Choose Authentication method. 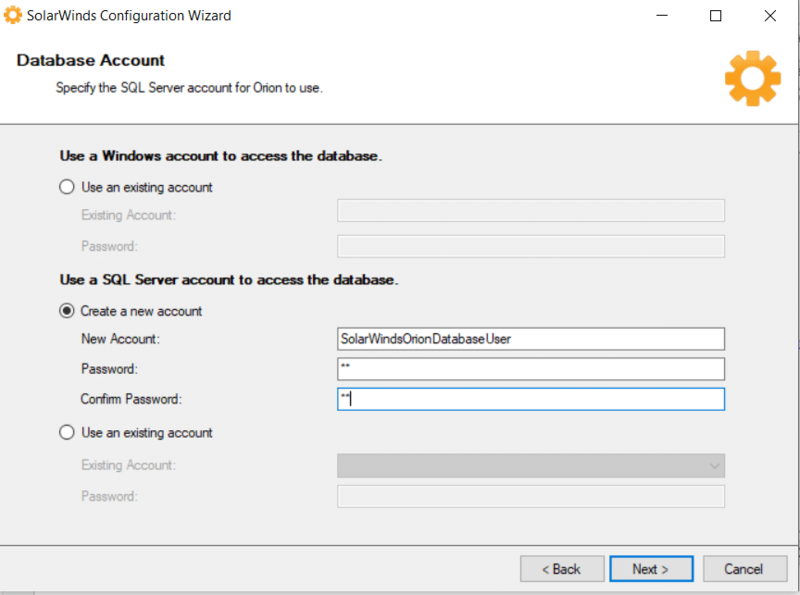 If you have created an SQL user that has admin rights switch user to Windows or SQL Server Authentication, otherwise use the Logged in user. 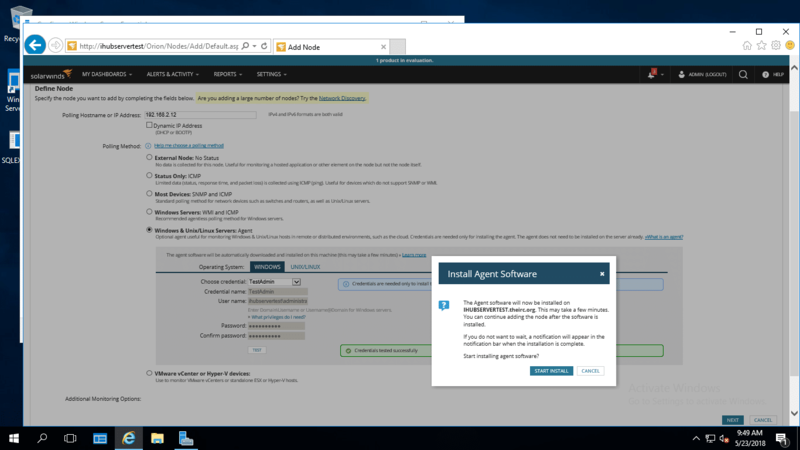 Configure the Website settings. 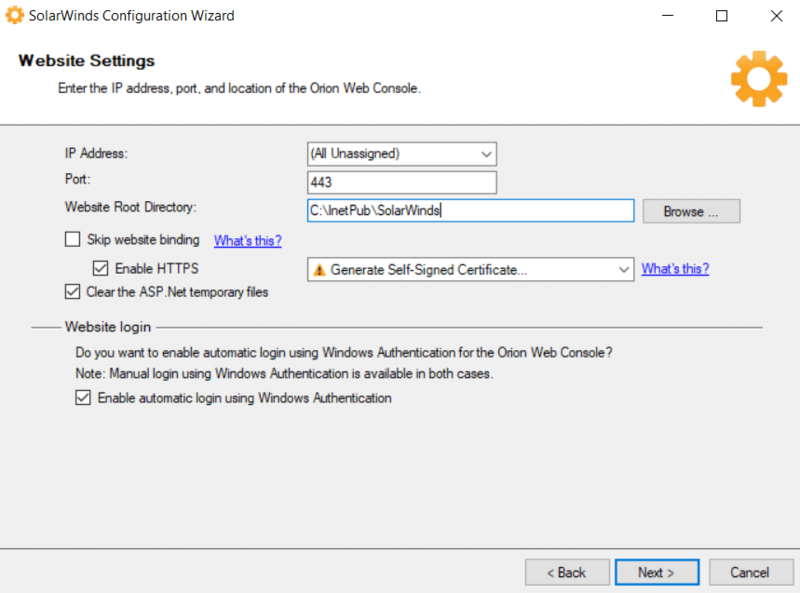 If using HTTPS configure port 443, Check the option; Enable https, from the drop-down menu, select Generate Self-Signed Certificate otherwise use port 80. 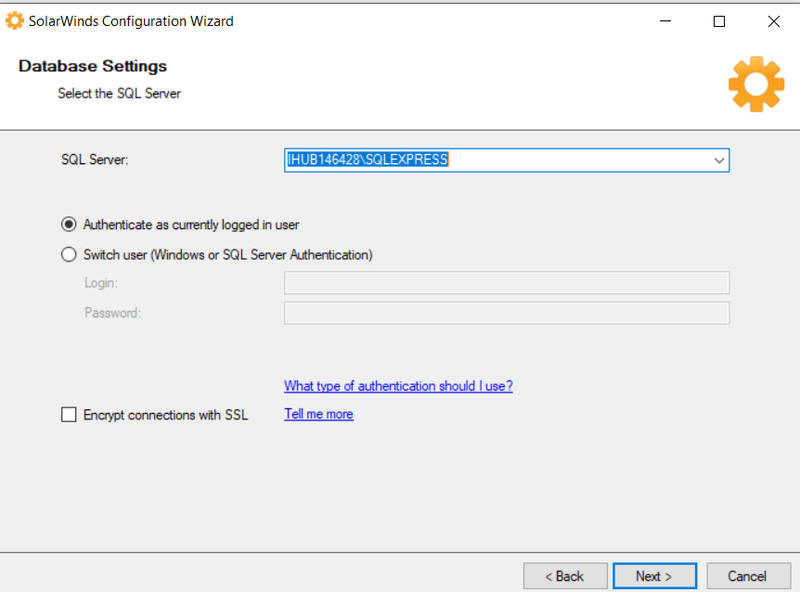 Select Login method and Enable Automatic Login using Windows Authentication. 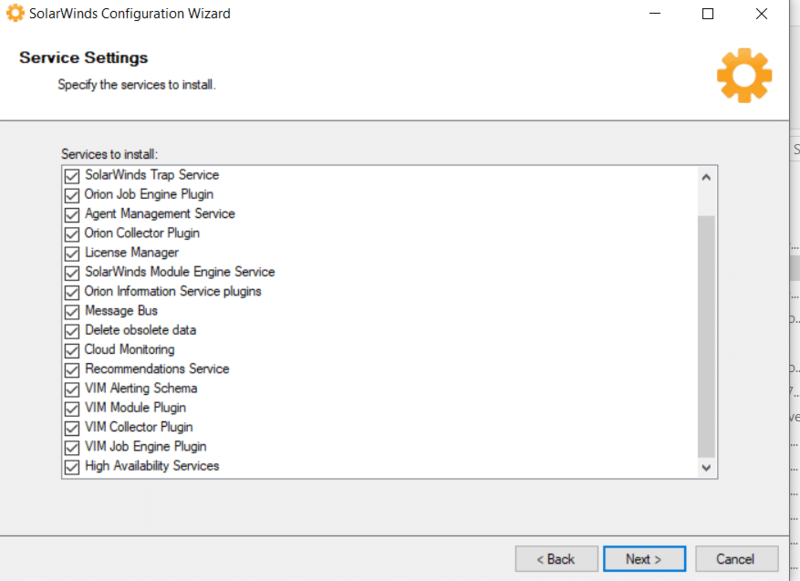 Select Services to Install. By default, all services are selected. 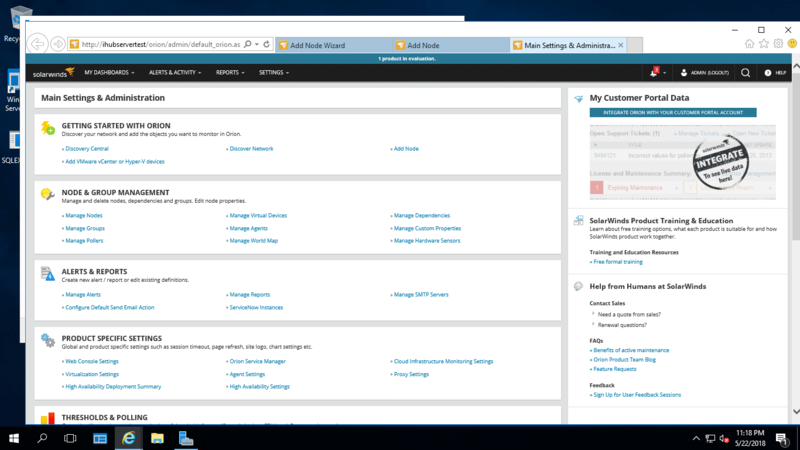 SolarWinds Web console should automatically launch as below. The default account is admin with a blank password. 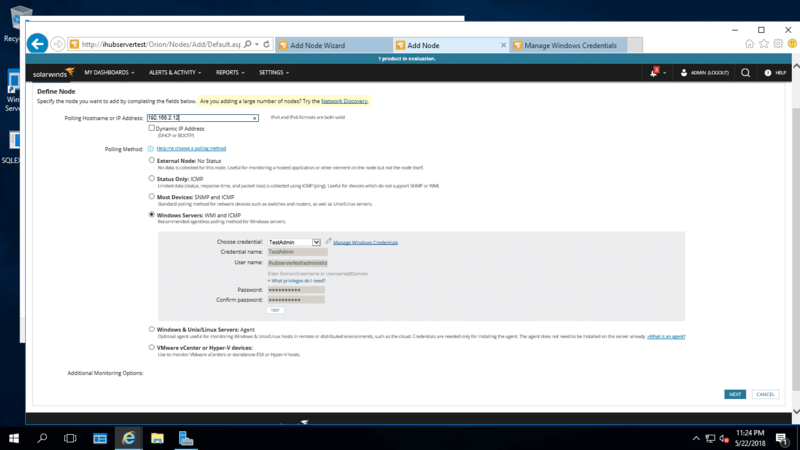 VMware infrastructure can be monitored by adding a standalone host or add vCenter server. Fire up your browser and go to http://servername/orion/login.aspx and log in. 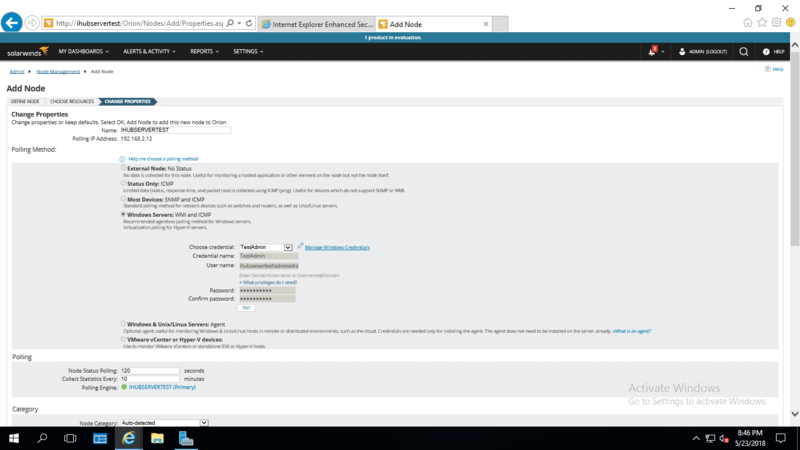 Navigate to Settings, Main Settings and Administration. 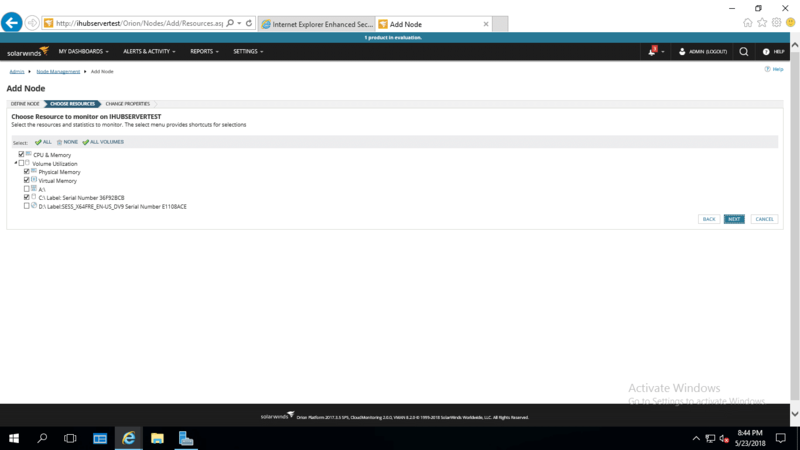 Click on Add VMware vCenter or Hyper-V.
Add A Virtual object wizard launches as below and select the virtual infrastructure in your environment. 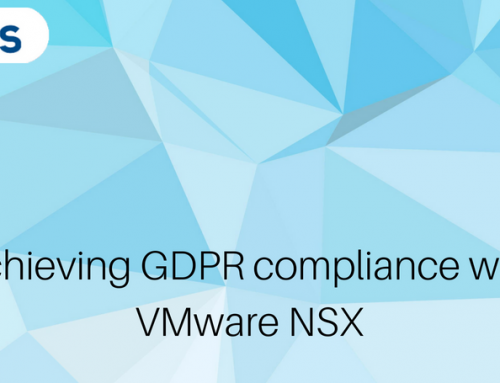 In this article, Standalone ESX is covered. 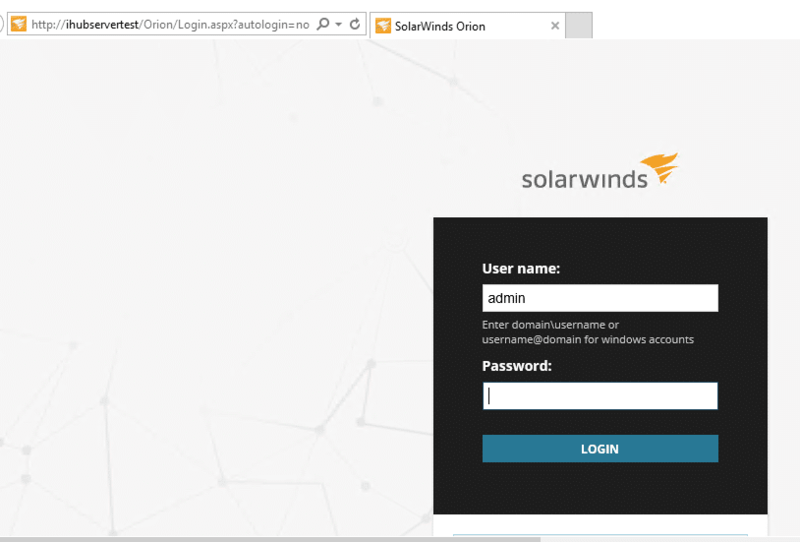 SolarWinds VMaN requires credentials to log in to the host to carry out inventory and send the data of the host to the SolarWinds VMAN database. 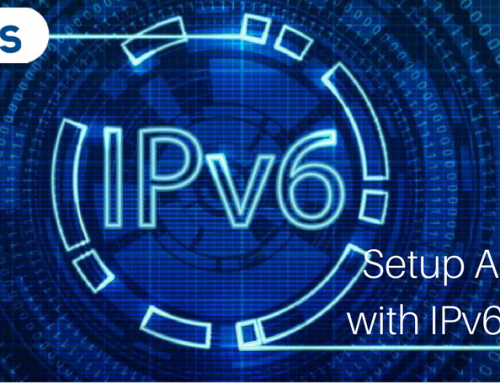 Type the IP address or VMware hostname. Inventory about the host is added, and various information about the host is monitored from here. Potential issues – Refers to an issue that is likely to happen if not checked or resolved. Recommendations – from the analysis of the issue VMAN can make a recommendation resolves any issue identified. The recommendations can be scheduled to run after hours. Hardware details of the hosts including the serial number are inventoried. 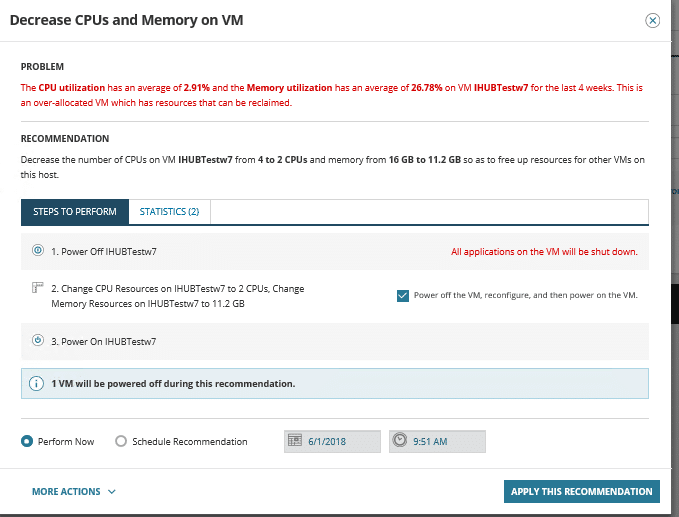 Hardware health regarding resource utilisation and state of the VM’s on the host. 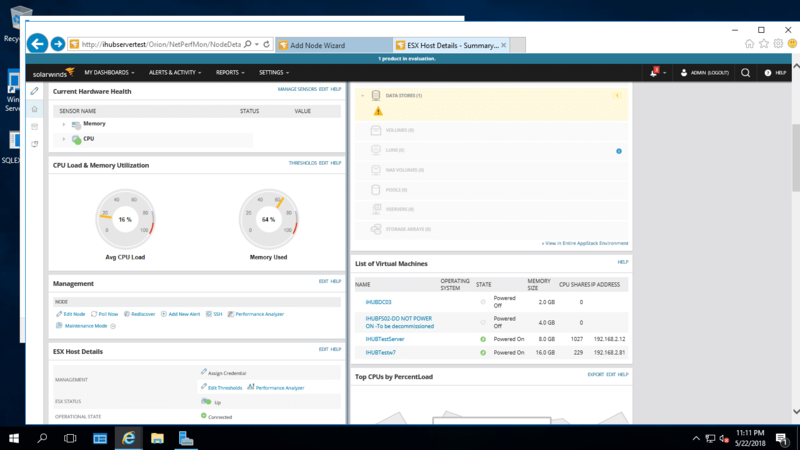 SolarWinds VMAM allows you to monitor the guest VM’s in multiple platforms like Windows and Linux. You can navigate to the VM from the Host details, but the guest VM cannot be managed until we add it as a node. Select the poling method; Agentless or Agent-based. In this article, both were tested and found to be working. 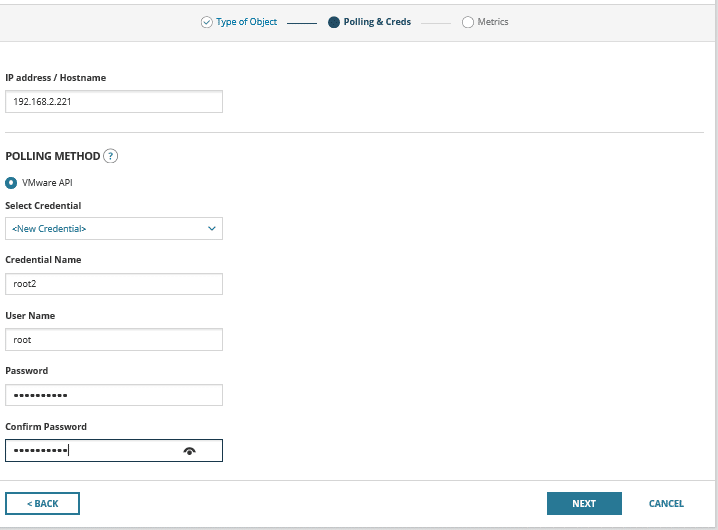 On Choose credentials, select New credentials to create a new one if it does not exist in the drop-down menu. 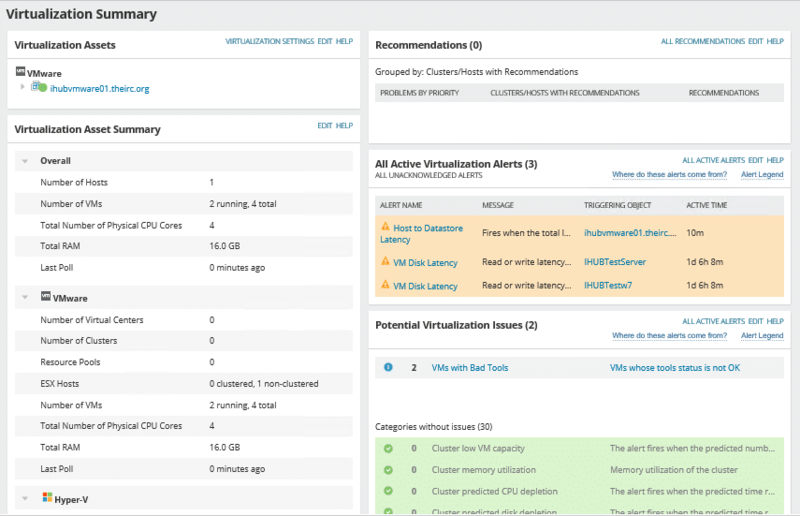 Select the Resources to monitor in the Guest VM. Edit is alerting settings as needed. Click Ok Add Node. Node objects have successfully added. Managed Nodes are displayed below. 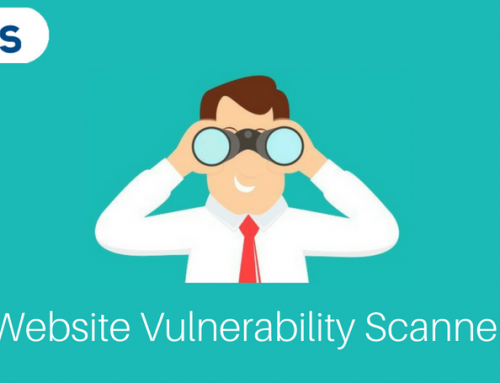 To view details about the Guest VM, double-click on the VM. The VM is managed from VMAN. 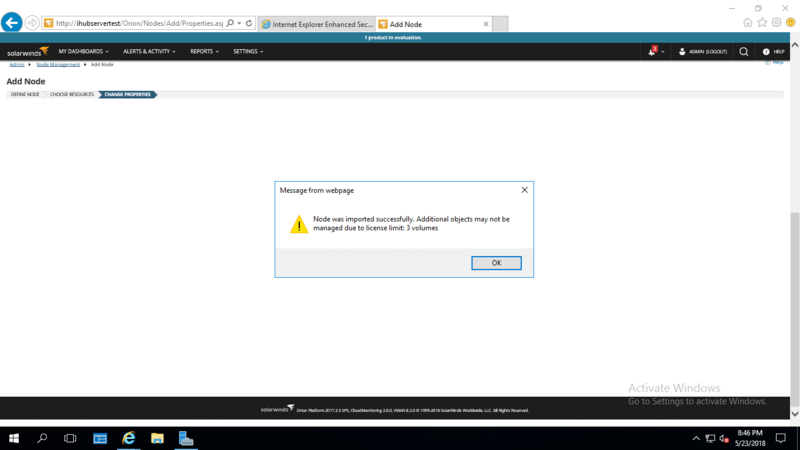 Issues detected by VMAN are displayed as alerts which can be configured to be sent to the IT administrator for further action as needed. Its good practice to acknowledge the issues and resolve them as they happen. 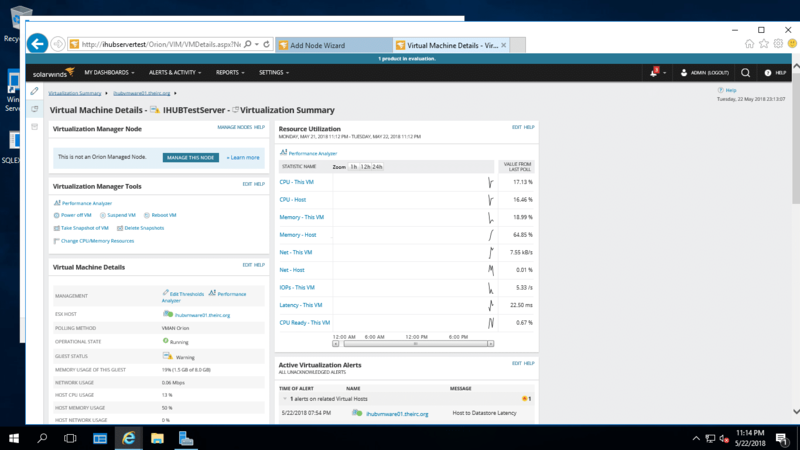 Virtualization dashboard displays this alerts, and they can also be on All Active alerts window. With proper configuration of thresholds and alerts notification, an IT administrator can proactively respond to issues before they happen and avert downtime. Balancing the Virtual infrastructure for optimal performance where you can spread the workload across various hosts. Capacity optimisation through prediction of resource utilisation and the likelihood of when they may run out to allow for proper planning. VMAN fully understands your virtual environment more than you do and makes a recommendation on resource contention issues that may take you ages to notice. In our case here, VMAN was able to identify one VM that had been overprovisioned and recommends on reducing the number of CPU’s allocated as they are not in use most of the time. Click on the Recommendation to view the problems and steps on how to apply the recommendation. Depending on the environment and how much downtime you can take, this can be scheduled or performed on the fly. 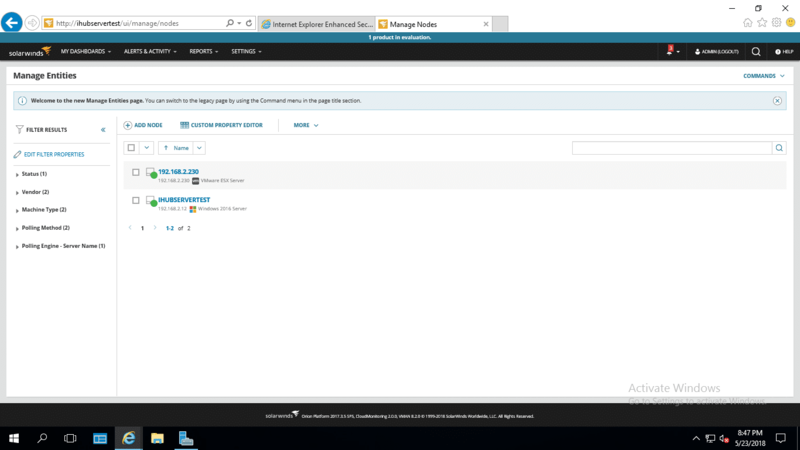 With a wealth of information collected by SolarWinds VMAN, various reports can be generated. 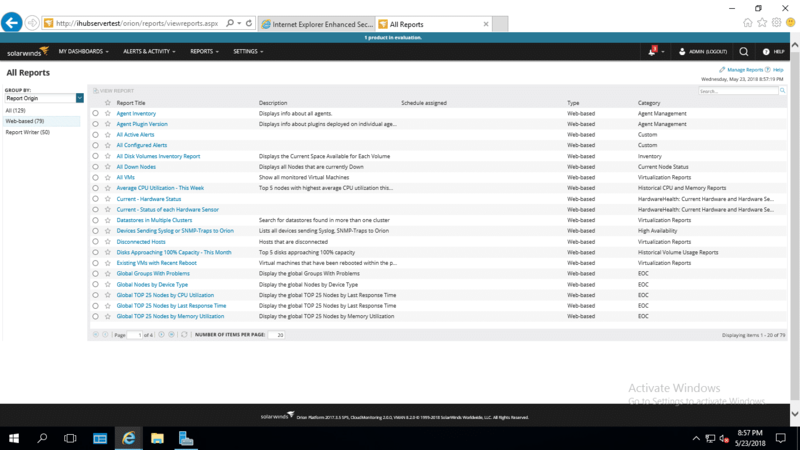 Reports can also be customized to meet the Business need using the Report Writer. 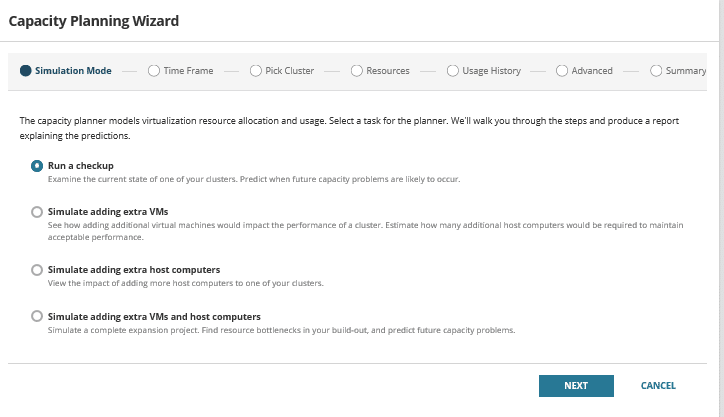 The new capacity planning feature provides a wizard, which helps the user create various configurations simulating different growth scenarios. Administrators are now empowered to generate reports on the fly and provide accurate growth predictions of their virtual infrastructure to the business. Virtualization Manager retains its strengths of being an excellent tool for performance monitoring, capacity planning, and virtual infrastructure troubleshooting and adds significant new features around recommendation, cause analysis, and even automated remediation. 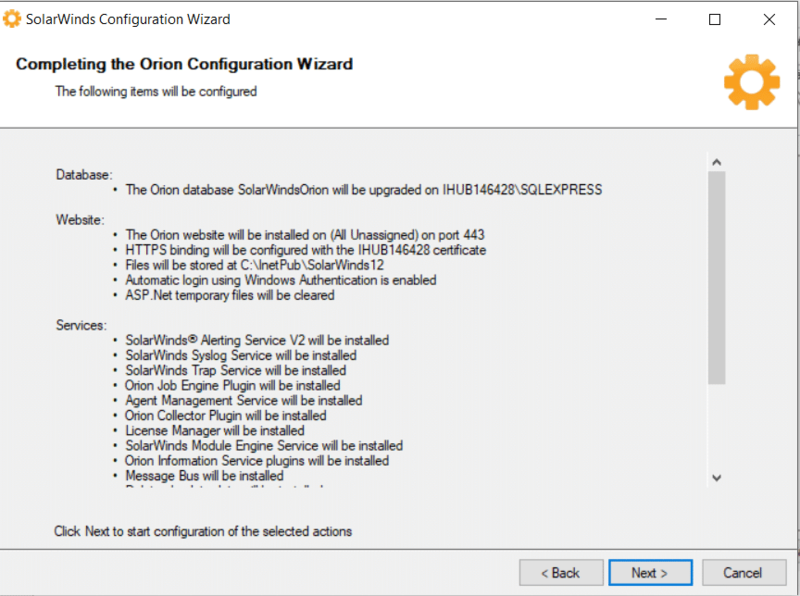 I like the redesigned Orion Virtualization Manager interface and the distinct wizard that adds the virtual infrastructure. 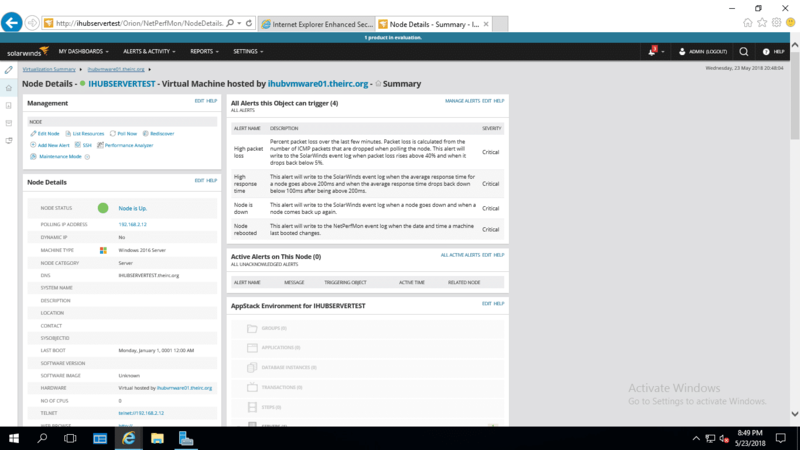 Not sure of using SolarWinds Virtualization Manager? Use the trial version to evaluate.